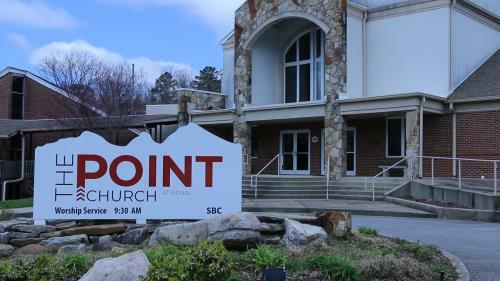 The Point Church at Signal, a new campus expanding Red Bank Baptist’s ministry, will officially launch on Sunday with a 9:30 a.m. service. The service will include a message by Dr. Sam Greer, senior pastor at Red Bank Baptist, and special music led by the church’s worship team under the direction of Bradley Gray, worship pastor. 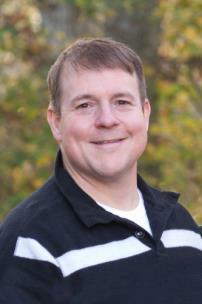 Dr. Gregg Hauss, campus pastor for the Point Church, will also speak. The church’s oldest and youngest members will be recognized, and Signal Mountain town officials are expected to attend. Life groups will begin at 10:45 a.m., offering attendees an opportunity to experience Bible study and fellowship together in a small group with others in their stage of life. April 14 has been designated “The Point Church at Signal Day’’ by Hamilton County Mayor Jim Coppinger. The church is at 939 Ridgeway Avenue on Signal Mountain, the site of the former Signal Mountain Baptist Church. That church voted to dissolve and merge with Red Bank Baptist last November. The Point Church launched with both former Signal Mountain Baptist members and 100 members from the Red Bank campus. Services began in November, with average attendance at 280. “Even if they don’t know it, people are loved by Jesus and looking for Jesus. 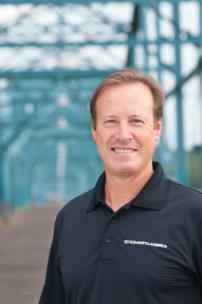 We are so excited to be on Signal Mountain as we point people to Jesus one conversation at a time,” Dr. Greer said. In preparation for the April 14 launch, Point Church members have been walking through Signal Mountain neighborhoods, praying for neighbors and sharing information about the new church. “This has stirred excitement among members, who have been inviting their neighbors, co-workers, and friends from school to visit,’’ Mr. Gray said. Registration for Vacation Bible School is now under way. “The Incredible Race’’ will be held June 10-14 from 9 a.m. to 12:15 p.m. for students from three years of age through fifth grade. Registration is available on the church’s website, thepointchurchtn.org. The Point Church’s staff is led by Dr. Hauss and includes Mr. Gray; Josh Lancaster, senior associate pastor; Bill Harvey, administrator and minister of senior adults; Dan Vetterick, student pastor; Emily Nelson, children’s ministry associate; Will Henry, communications coordinator; and Emily Fraker, administrative assistant. The Point Church at Signal can be reached by phone at 886-1244. Follow the church on Facebook, on Instagram at thepointchurchatsignal, or on Twitter at @pointsignal.